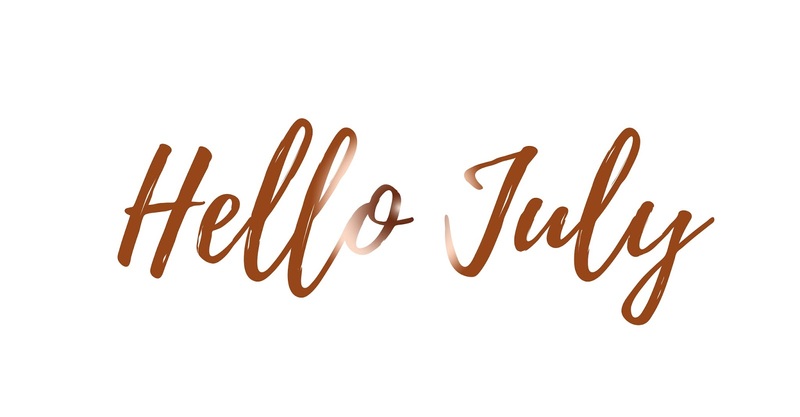 It's July already and so much is going on this month, I have a feeling it's going to be another month which flies by like lightening. You know what I mean? June was the month of birthdays and holidays and so much more but now it's time to be serious. Not only am I rethinking about my dissertation and starting my research, but I'm also finishing one job in three weeks, and starting another one the following week. While doing so, I also have a heck load of training going on and a lot of time learning so many new things. Not only am I spending most of July doing work related things, but it's also my boyfriend's 27th Birthday, woo! I love other people's birthdays! We all have goals right? At the beginning of the year I made goals which I wanted to reach by the end of the year, so in 2018 I could then make new goals for a new year. Well, I also like to make little goals for each month; satisfaction and success. I have been slacking with my blog over the past couple of months where I've had so much going on while struggling with writers block, so I haven't been too fussed about my stats and everything that's going on with Instagram. However, it's a new month and I love changes. I'd love to reach 7,150-7,200 followers on Twitter by the end of the month. I've never really taken notice of how quickly my followers grow on Twitter but it's a goal and I'm sure it's one I can reach within a month. I'm currently sat at 7,038 so we shall see how things go! Twitter is a great way of growing followers too with all of the different threads and chats which occur on a daily basis. I currently have 1,805 followers on my @Kimberleyjessca account and my goal for the year was to reach between 1,500 and 2,000. Although growing an instagram is extremely difficult compared to other social media platforms, I believe I may still be able to reach 1,900 by the end of the month! My @kjstudies account is currently on 411 followers, an account which I've hardly posted on within the past month or so. Now that I'm back from my holiday, my goal is to regularly post on this acount while also growing my following to 500! I can do this! Lastly, @kimberleyjesscanails is on 324 followers, another account which I have also hardly posted on due to my holiday and so much going on within the last couple of weeks. This month, my goal is to not only plan my posts for this account and schedule when they're going to go live, but to also grow my following to either 400 or 500 followers. My end goal for the year for both of these instagram accounts is to have them at 1,000 followers. All the help would be appreciated. Facebook is another social media platform which I've hardly bothered with, purely because I think not many people use facebook compared to other social media platforms. My Facebook page grows on a weekly basis by one person which is the saddest thing ever! My goal for this month is to try and reach 300 likes; currently sitting on 266. Goals are made to be broken, but goals are also made to be achieved; this will go one way or another!